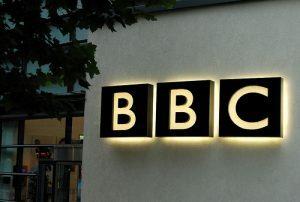 There’s something deeply wrong with the ‘debate’ currently going on about the future of the BBC, and I think it boils down to the essential question: what is the value of public service broadcasting? Two themes dominate the debate at the moment. The first is a kind of cost-benefit analysis, do license fee payers get value for money from the BBC, and should the license fee even be cut? The second is a kind of backward looking analysis, getting the BBC back to some halcyon days that probably never actually existed, all evoked by the oft-cited phrase “Putting quality first” (implying that at the moment this has not been done). All of this plays right into the hands of the Tory party and those on the right who don’t like the notion of a pre-eminent public service broadcaster, or are themselves implicated in the privately owned media that has a hard job to compete with the BBC behemoth. Let’s not forget that the plans were announced yesterday by Mark Thompson, just a couple of months ahead of a general election. Political positioning? Surely not! But in all of this there’s very little proper discourse about the role of the BBC, the role of public service broadcasting. What media can you actually trust in the internet age? Surely answering that question gives you one answer in the UK: the BBC. Yes, it’s not perfect, changes could be made, but compare BBC to France Télévisions, ARD, ZDF, RTBF, SVT and it’s miles ahead. The BBC surely is the international standard for public service broadcasting. It’s something about the UK that’s genuinely good. So how about framing the debate in terms of trust, in terms of quality of public service broadcasting (as opposed to partial private interests), in terms of reflecting the UK as a country and not the UK as a market? Some UK politicians on the left better get hold of Don’t Think of an Elephant by George Lakoff and apply it to the debate about the BBC, because otherwise this debate is going the same way as Obama and healthcare in the USA. Jonathan Freedland has an interesting take on the issue in The Guardian, interpreting the Tory policy on this thanks to the influence of News Corp.